Sometimes I need to make a separation between the concept of a novel and its implementation. The concept of The Path of Lord Jaguar had a really high wow quotient. I wish it had met my expectations. The review I wrote for The Bookplex is below. I wanted to love this book because the concept of an alliance between a Nigerian Ifa priestess and a Mayan holy man sounded so amazing. Immigration attorney Margaret Donnelly, who wrote this novel, obviously did a ton of research. It definitely showed, and that was part of the trouble with the book. I feel that in fiction, the research should be doled out gradually on a need to know basis. It should also be integrated into the narrative. 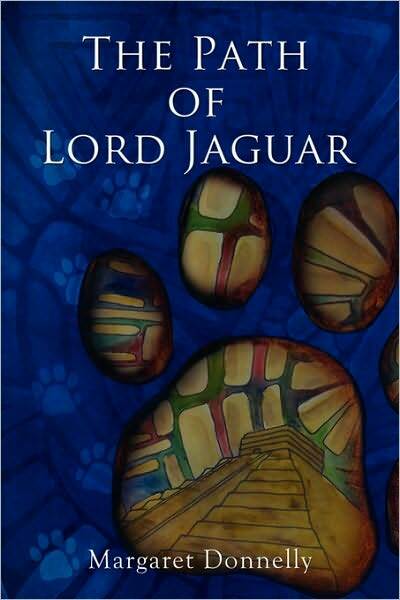 It seemed to me that the first half of The Path of Lord Jaguar was mainly an information dump consisting of cultural/historical research and character background. The plot didn’t really get started until the second half. The information content in the first half was certainly interesting to me, but it lacked the dramatic impact that I associate with fiction. For example, when I read about a potentially intense incident in the life of an ancestor of one of the characters, I wished that it had been shown as it was experienced rather than told in summary. Flashbacks can be utilized to re-create events from the past. They could have been introduced as ancestor visions of Kemi, the Ifa priestess. Such dramatization would have made the first half of the novel far more immediate and compelling. A related problem was the attempt to relay information to readers in dialogue when the characters wouldn’t really have needed to have such a conversation. For example, Pablo, the Mayan holy man, needs an opportunity to explain his sacred view of the landscape. So the author has Kemi make the following remark: “But there is no mountain, no temple, no pyramid. This is mostly prairie.” I believe that as a priestess, Kemi would have known what Pablo meant without his having to clarify his beliefs. She wouldn’t have been so literal. This made Kemi appear unrealistically ignorant. I didn’t find the character of Pablo very convincing. I’m not talking about his spiritual practice. That seemed authentic. No, I mean the portrayal of Pablo as an individual. He seemed to make pronouncements rather than speak in a conversational tone. I could understand him and his motivations on an intellectual level, but I couldn’t relate to him emotionally. His brother Arturo, who never appears in the book, felt more like a real person to me than Pablo did. It’s also important to note that there was what appeared to be a serious character inconsistency involving the employer of both Kemi and Pablo. Some readers might disagree, but I saw a fundamental flaw in his motivations that undermined the credibility of the story line. Despite all these criticisms, I have to say that I adored Kemi. She overcame tremendous adversity and prejudice to become an inspiration to me. David Levin, Kemi’s immigration lawyer, was another stirring character. Donnelly probably drew from her own experience as a lawyer to create him. She must be a very caring advocate for her clients. In The Path of Lord Jaguar , the Nigerian priestess who is the central character, does Ifa divination. A woman who does divination in the religion of Ifa is called an Iyalawo or an Iyanifa. She says that she was trained to perform traditional Ifa divination in Nigeria since she was a child. This turned out to be a very controversial statement in the context of the novel. It's also quite controversial in real life. Why does this controversy exist? The answers lie in history. When Yoruba people from Nigeria were kidnapped into slavery, they brought their religion with them to the islands of the Caribbean and Latin America. This religion evolved in the Americas. There are some commonalities between the Ifa religion of Nigeria and the African diasporic religions that were developed by the descendants of Yoruban slaves, but there are also some radical differences between them. In my May post "The Wide Embrace of Marta Morena Vega", I reviewed The Altar of My Soul, a book by a Santeria priestess who has been building bridges between these traditions. Yet some African diasporic practitioners have irreconcilable differences with Nigerian Ifa. Certainly, the Lucumi practitioners have a right to their beliefs and training methods, but African practitioners should also have the same freedom of expression. In order to be a trustworthy resource, a page on Wikipedia should deal with all perspectives on the topic.